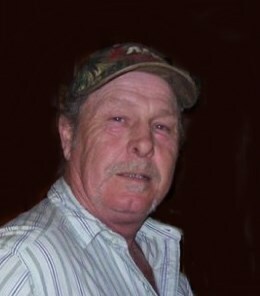 Leland Curtis Frederick Lang Jr., 64, of Quincy, passed away at 9:20 p.m. Tuesday (January 22, 2019) at his home. Born November 12, 1954 in Quincy, Leland was the son of Leland *Sonny* Lang Sr. and Anna Marie Thomas Lang. He was previously married to Beverly Maggart Leindecker. He was currently sharing his life with his significant other, Tina Ellis of Quincy. Leland was an avid fisherman and mushroom hunter who enjoyed having a drink with his friends and cheering the St. Louis Cardinals. A certified welder, Leland was employed at various companies in the area. He was last employed as a roofer in the Quincy area. Survivors include two children, John M. Lang II (Tonja) of Quincy and Jamie Worthington of Quincy; four step children, Raymond Leindecker III, Kevin Leindecker, Erin Schlee (Kevin) and Lisa Leindecker; six grandchildren, Anna Marie Rose Austin, Edward James Radel, John Michael Lang III, Jacob Allen Lang, James Curtis *J.C.* Lang and Miri Graefen; a great grandchild, Alex Graefen; and a niece, Martha Williams of Kirksville, MO ; and several great nieces and great nephews. Mr. Lang was preceded in death by his parents; a brother, John M. Lang; and a niece, Charlotte Lang. A memorial visitation will be Sunday afternoon from 1:00 to 3:00 at the Zehender Robinson Stormer Cookson Funeral Home. Private inurnment will be in Quincy Memorial Park. Memorials may be made to Jamie Worthington to help with expenses.